This week has flown by, possibly because we had Monday off. Here’s a breakdown of my week in books! A Darker Shade of Magic was the innagural choice for the new book club I’m in! I really enjoyed the book, but it wasn’t completely satisfying. I’m really curious to see where the author goes with the series and how she develops the characters. I had been searching for The Wrath and the Dawn for ages and couldn’t find it until recently. It was definitely worth the wait! I had wanted to read this to get a taste of her writing before starting on my ARC of Flame in the Mist, which I’m really looking forward to. Both of these books were the start of series that I intend to continue on with. Reviews for each will be coming over the next week or so. I started Strange the Dreamer on Wednesday night. For a book that I bought strictly based on the cover, I’m pretty blown away so far! It’s one of those books that immediately pulls you into its rich world. I am really enjoying it and can’t wait to get home to read some more. In case you can’t tell by the three ARCs I’m currently reading, I’m really struggling to find something that holds my interest. I’m about 32% through Sea and am considering DNFing it, but I feel like I’ve been doing that too much lately. Skullsworn is something I just need to get in the rhythm of before I really get going, but I haven’t had much of a chance to really sit down with it yet. Finally, I picked up State of Grace to get me out of this little slump and I think it’s going to do the trick. I’m really liking it so far, despite it being a contemporary book. Go ahead. Shame me. About 5 hours after I posted my May TBR strategy I bought three new books. The Hate U Give is something I’ve wanted to pick up for a long time and it was on a 3-for-2 promo at Blackwells. I’m sure you all understand. The Island at the End of Everything is the new book by Kiran Millwood Hargrave, the author of The Girl of Ink and Stars. I absolutely loved her previous book and had to pick this up. She lives in Oxford, so I’m supporting local authors. Finally, A Gap in Time is part of the Hogarth Shakespeare series, which are modern retellings of Shakespeare’s plays. I’m so excited for this one, which is a retelling of A Winter’s Tale. I’ve been planning on starting this series, which includes Margaret Atwood’s take on The Tempest and Gillian Flynn retelling Hamlet, and think this will be a good starting point. I’m counting down the days until I leave for New York next week! One of my best friends is getting married and I get to be a bridesmaid. This really just means that I’ll be bawling my eyes out through the ceremony in front of everyone. I haven’t been back to New York since I left about a year and a half ago, so I’m looking forward to seeing lots of old friends (including The Strand bookstore, which absolutely counts as a friend). Sophia can’t deal with the fact that we’re not taking her to the wedding. 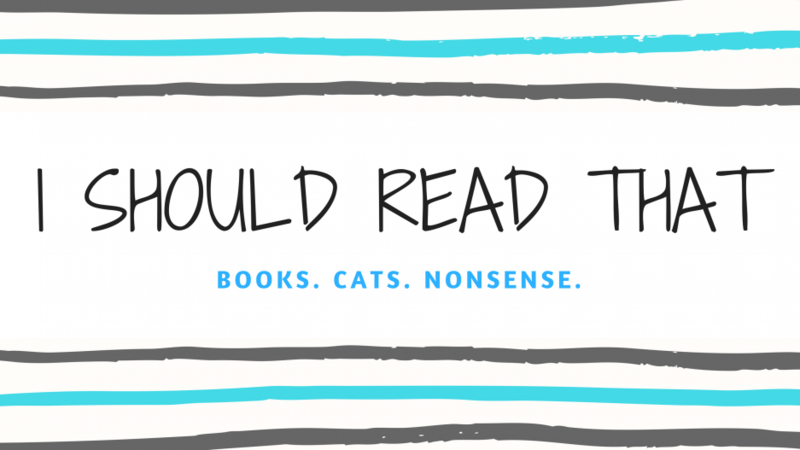 Have you read anything good this week? What are your weekend reading plans? IMHO Sea gets better! You have to (if you want) stick through a lot of set up but I ended it happy! I’ve set it aside for now, but I think I might pick it up again at some point! I’m glad you’re continuing with the Shades of Magic and Wrath and the Dawn series! I love both of those series SO MUCH. ❤ I really want to read Strange the Dreamer! I'm glad you're loving it. Strange the Dreamer is wonderful so far! I’m about 160 pages in and it’s just one of those books that completely sweeps you away.